Memphis Grizzlies' Quincy Pondexter (L) and Mike Conley (R) eating lunch during a practice day. To which I always want to say: You can’t, or you won’t? About a month before training camp, a player comes into my office, slumps down into a chair, shakes his head in frustration and says, "I can’t drop this weight." "I don’t get it," he continues. "I’m working out every day, no drinking, eating healthy…"
"Oh, you know, HEALTHY. Start my day with a huge smoothie…"
"Healthy stuff," he says proudly. "Orange juice, pineapple, strawberries, bananas, blueberries, granola, yogurt…very healthy." That, my friends, is the business—or maybe the b.s.—of "healthy eating." We’ve been so conditioned to focus on calories and fat that we overlook the greatest nutritional poison: sugar. And it’s hiding in plain view, in countless foods and beverages that are "good for you." Fruit juices. Smoothies. Wraps. Trail mix. Diet sodas. They sound so good. So “healthy.” Until you realize you’re gaining weight and you have no idea why. The ads talk about "healthy alternatives," but what’s the alternative of healthy? Unhealthy? 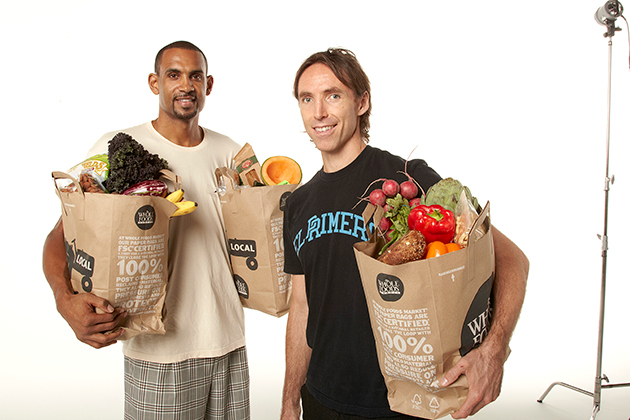 Steve Nash teaches Grant Hill the finer points of grocery shopping back when the two were on the Phoenix Suns together in 2011. Or the "all natural" nutrition bars that use honey as a sweetener. Yep, honey is "all natural." So are the empty calories it pours into your body. Just because the label says "antioxidants" doesn’t mean you’re getting healthier when you factor in the sugar content and carbohydrates. How about when you order a sandwich, and they ask you, "White or wheat?" Translation: You want bread or bread? If the brown stuff is wheat, what’s the white stuff? That’s right, it’s wheat. Bread is made from wheat. It can be colored brown or bleached white, but unless the label says “100% whole grain” or “100% whole wheat” you’re getting plain ol’ white bread dressed up in a "healthy" costume. Here’s my new favorite: "Weight Control" oatmeal. When I have a player on an ultra-low carb diet, I’ll allow him to have a bowl of oatmeal in the morning, so he gets some of the complex carbs he’ll need for energy. I’m talking about plain, unsweetened, unadorned oatmeal … no milk, cream, brown sugar, maple sugar, raisins, fruit. Nothing that turns it into a cupcake. Plain. I’ll give you a couple ways to add taste—a little unsweetened cinnamon, for example—but that’s it. If you do it right, it tastes like plain whole wheat bread. 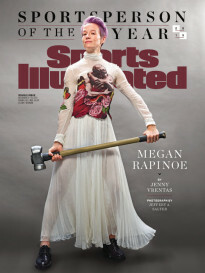 You might believe pro athletes have this under control. Not necessarily true; it’s a learning process, especially for the young players who rarely realize how much sugar they consume. If you grew up on soda and candy and fast food, that’s all your body knows; you have no idea how good you’d feel or how much better you’d play without all that sugar in your system. And once you’ve developed those eating habits, they’re extremely hard to break ... especially when it’s time to drop some weight. 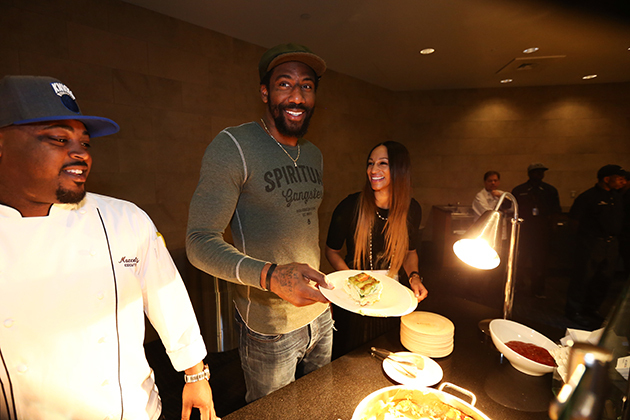 Amar'e Stoudemire, a well known food connoisseur and chef, hosts his 3rd Annual Employee Breakfast at Madison Square Garden. For a lot of folks, fast food is easy, grilled chicken breast is not. I give my athletes what I call The List: a yes/no inventory of foods they can eat, and those they can’t. Here are your options, here’s what you’re giving up. No sugar, no dairy, no fruit, no breads, no alcohol. No junk. Three weeks. Proven results. Very simple, because I want my guys focused on practice and games, not counting almonds and weighing boiled meat. The weight of the game is enough pressure. I wrote about The List in my books Relentless and Jump Attack, and got more email on this one topic than on almost anything else I’ve ever written. Everyone wanted The List—which I’ve only ever given to my clients—which will finally go public in my next book. The first thing everyone says when they see what’s in and what’s out: No fruit? Fruit is healthy! Agreed, orange juice and pineapple are loaded with Vitamin C. Very healthy. Tomatoes and carrots are also packed with essential nutrients. Also very healthy. But they’re also extremely high in sugars, and if you’re trying to drop weight, you have to drop the sugar. A low carb diet only works if you actually cut the carbs. When your body needs fuel, it searches for sugar. If it can’t find any, it burns fat. What’s going to make you healthier: orange juice and carrots, or dropping twenty pounds by eliminating them for a while? Until they realize how it feels to go through sugar withdrawal, because The List wrings every gram of sugar out of the body. Total reset. You’re going to feel and perform so much better, but for the short term, you’ve never felt worse. Fatigue, irritability, confusion. You get a crazy headache behind one eye. You’ll get hot, you’ll get cold, you’ll want to throw up. You’ll shake like a heroin addict going through withdrawal because, guess what—you are. You would assume that teams are committed to serving "healthy" food to players. 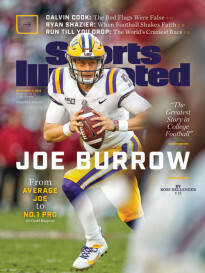 But that's not always easy, because teams are often feeding players who don’t understand how to eat that way; you serve them steamed fish and vegetables, they’re going right out to look for the closest drive-thru. And because it’s better to get the guys fed than to let them survive on Peanut M&Ms, the teams will serve what they’ll eat, alongside what they should eat. Tim S. Grover is the CEO of ATTACK Athletics, world-renowned for his work with championship and Hall of Fame athletes. An international authority on sports performance and motivation, he trains elite athletes around the world, appears as a keynote speaker for corporations and sports organizations, and is the best-selling author of Relentless: From Good to Great to Unstoppable and Jump Attack. Follow Tim @ATTACKATHLETICS on Twitter, and visit www.attackathletics.com for more.